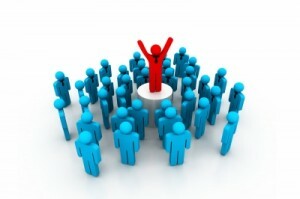 At one time or another as a business professional you will be asked to speak in front of a crowd of people. While the mere idea of conducting a presentation can leave you feeling jittery, this is a natural human reaction that can be overcome through planning and practice. The first thing to realize is that you are being asked to speak about something you are an expert in, so consider this an honor and “find your voice” to overcome public speaking fear. Here are a few tips for breaking through the fear to give a great presentation. Realize your purpose as a speaker. You’ve been asked to share something you are good at, so use this time wisely. Your purpose is to find sparks of information that will leave your audience with a lesson learned, an inspiring story, or an encouraging message. You are not necessarily there to entertain, control the reactions or influence others to think a certain way – just share what you know. There is no perfect speaker. You may have been to events and encountered powerful speakers in the past that had that “wow” factor. However, even the most experienced public speaker gets nervous and perceives his own mistakes. The truth is that there is no perfect way to speak to a crowd of people nor is there a perfect speech. Be yourself and let your voice be heard. Get to the point, clearly. As an effective speaker, your job is to create a pathway to information that will enlighten and interest your audience. Come up with relevant ideas and examples that illustrate something meaningful or useful. It’s a good idea to come up with at least two to three main points and then develop your speech notes around this. Have a sense of humor. The best way to break the ice, reduce tension and help others find a common ground with you is to inject a little humor. This can make even the dullest of topics suddenly seem like the hottest thing on the block. Keep your humor clean and politically correct to avoid offending anyone. Have fun and just make people smile. Leave them wanting more. As you conduct your talk, remember not to give away the entire farm. Stick to short tips, ideas and concept that will leave your audience wanting more. Leave with an encouraging story and invite those who want to learn more to approach you directly at a later date. Want to learn more about overcoming public speaking anxiety to become a more effective speaker? Be sure to check out the upcoming Dale Carnegie course “ Getting Rid of the Fear and Horror of Public Speaking” to be held in December and February in Illinois.